Recipes at times can be a cause for confusion. A misunderstanding of a term can cause much trouble, leaving you wondering if you have purchased the right thing. Take a recipe that calls for the new potato for example. I have seen many recipes that call for new potatoes. What is a new potato? The grocery store definition is different from the farmers market definition. The true definition of a new potato is what it sounds like – a potato that is newly harvested. When potatoes are first harvested the skin is more fragile. The potatoes need time to cure in order for the skin to dry out and be more durable. The skin of a freshly dug potato is more tender, has a better texture, great for recipes where you keep the skin on. This type of potato is not good for the grocery store. They don’t ship very well. 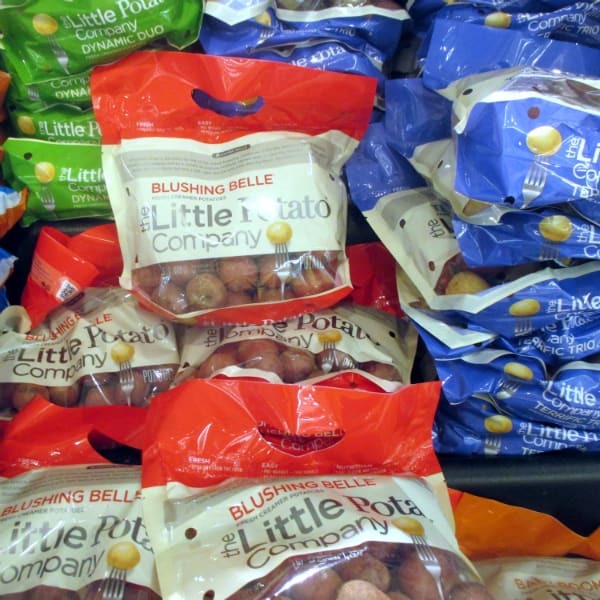 Instead new potatoes in the grocery store are generally seen as being small potatoes. My experience is that smaller sized potatoes have more tender skin than the larger types. For your recipe calling for new potatoes buy the smallest potatoes you can find in the store. Bags of small potatoes of multiple colors are common nowadays. Fingerling potatoes are a good choice as well. If at all possible, go to the farmer’s market and look for freshly dug potatoes – these will be the ideal. Another option you can choose for your recipe is a creamer potato. These can be one off two things. Some see them at potatoes that are picked before they are mature to keep them small and tender. They are still allowed to age or cure so the skin isn’t going to be thin and flaky like farmer’s market new potatoes. Other people define a creamer potato has a potato that is bred to be in the small size. They don’t get very big and are fully mature at a small size. There is a company that specializes in small potato, called the Little Potato Company out of Edmonton, Alberta, Canada. They sell creamer potatoes in all different varieties and colors. Watch this YouTube video below to learn more about their potatoes. They have some unique varieties you can’t get elsewhere. Most stores now carry some type of small potato that should work for your recipe. 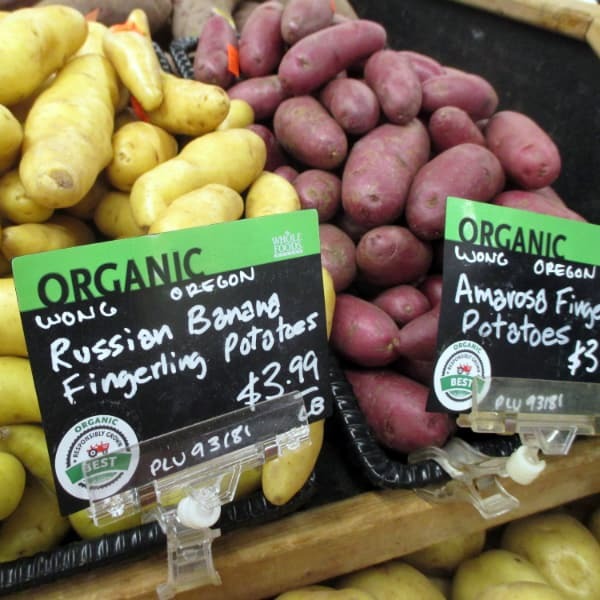 Whole Foods Market carries fingerling potatoes, particulary in the late fall and winter. I have also seen bags of small potatoes in a mix of yellow, red, and purple colors. 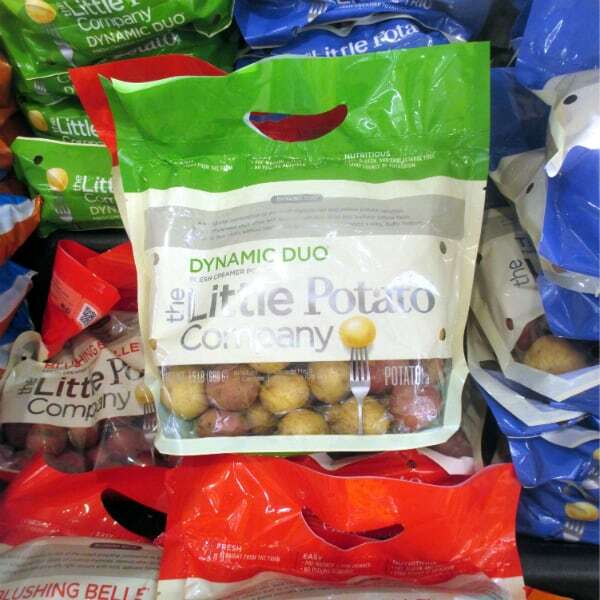 Trader Joe’s offers you several options – Dutch Yellow Baby Potatoes, Baby Red Potatoes, and Teeny Tiny Potatoes. These all come in bags ranging from 16 to 24 ounces each.